- Date: 02/2012, Seed: $75 k (post valuation: undisclosed amount). This is a cutting edge company - awesome technology !! Create alerts for your brand, your industry, your company, your name or your competitors and be informed in real-time on all your devices about any mentions on the web and social web. The first media monitoring application designed with an easy to use interface that can be used by a single person or team to track and react smartly. mention is available now at www.mention.net. For people who care about what's being said about them, for businesses who care about their online visibility, mention changes the way you monitor the web. Free, easy-to-use, and available on all your devices - mention delivers real-time alerts wherever you are from hundreds of sources around the web: social networks, news sites, blogs, photos and videos sites, forums and any web page. We strongly believe that mention is an essential and ubiquitous business and personal tool that customers use on every device, similar to Dropbox or Evernote. Our product is poised for mass adoption and breakout performance. 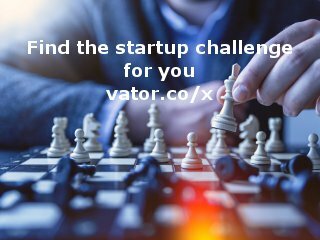 Both scalable, and responsive to the needs of our customers, mention is invaluable for small to medium sized businesses, professionals and consumers in a market flooded with enterprise applications. Ex-management consultant. CEO & Co-Founder of mention, CEO of PressKing. 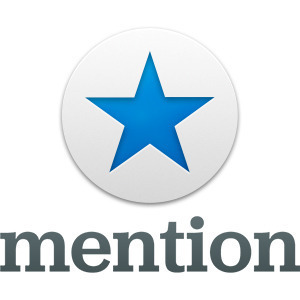 mention is freemium: 1,000 free mentions per month with a monthly fee starting at $9.99 for 5,000 mentions. The more visible companies and brands are, the more they will pay to be notified in real-time. Virality is a key factor for the wide adoption of mention. We offer 100 free mentions each time a user shares the application with their friends or colleagues. The market is filled right now with expensive, enterprise grade tools that do not provide insightful information besides a report at the end of the week. mention lets users react quickly and smartly from any device in real-time. We provide value to our customers by delivering a real-time stream of data to all of their devices. The second version of the platform will include a comprehensive analytics package. The focus has been to deliver this content on all devices in real-time and let people react smartly on the go. Once you start using mention, it’s very hard to stop - You never want to be far from knowing who and what people are saying about the things you care about most. mention is mobile: Our iPhone app launches in 2 weeks, with Android following in 5 weeks. mention is international: We crawl sources in 42 languages, and the application is currently available in French, German and Spanish with many other languages coming soon. * one-click sharing of mentions and smart actions (replies) built in.